Just call them New Kids on the Boat! TV Guide Network announced Tuesday, April 29, that it has ordered a brand-new reality show starring '90s boy band New Kids on the Block. "Rock This Boat: New Kids on the Block" will be an eight-episode series that will feature diehard NKOTB fans on week-long cruise with the boy band. TV Guide Network has also ordered a casting special for "Rock This Boat: New Kids on the Block," presumably to find the most loyal NKOTB followers. 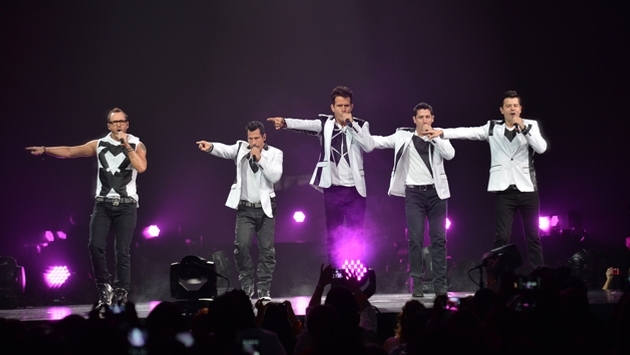 Jordan and Jonathan Knight, Joey McIntyre, Danny Wood, and Donnie Wahlberg, who all make up the New Kids, broke up in the mid-1990s but reunited in 2008 to record a new album and go on tour. Since then, they've sponsored multiple concert cruises, which have waiting lists because they're so popular. Right now, the band is preparing for their European tour, which kicks off on May 6 in Stockholm, Sweden. They also have a "New Kids on the Block: After Dark" special scheduled for July at Planet Hollywood in Las Vegas. What do you think? Will you watch "Rock This Boat: New Kids on the Block"?